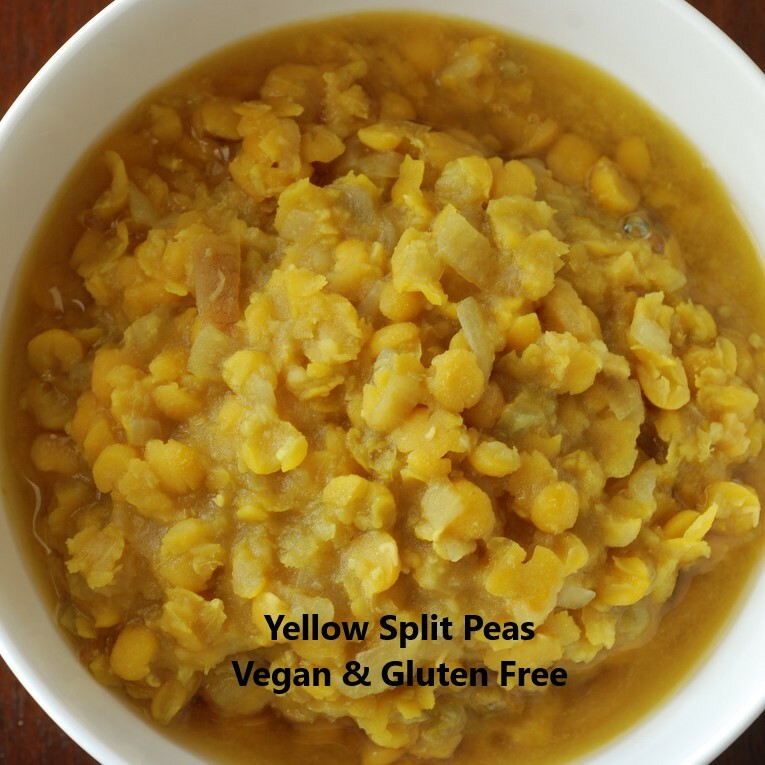 Wash the yellow split peas in a cold water and drain. In sauce pan, boil split peas and water for 15-20 minutes. [Split peas should cooded buy not mushy]. Remove from heat and let cool. In a large stock pot, cook the onions on medium/medium-high heat for several minutes, stirring frequently, until they begin to soften and turn translucent. (if needed add a splash of hot water to prevent burning). Add the garlic and turmeric, cook for a further 15 minutes. Add the split peas and simmer stirring occasionally (not too often so that it doesn’t get too mushy) for another 15 minutes. (If you’d like to serve it as a soup you can add hot water while it simmers). Garnish with Jalapeno pepper and salt to taste.